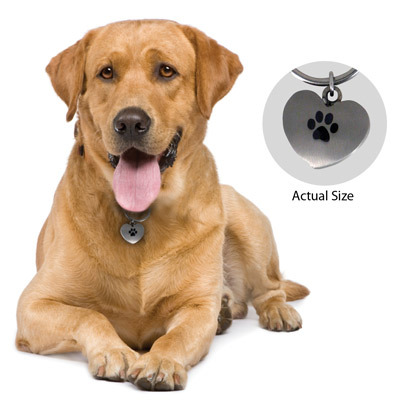 A beautiful EMF-protection product for your dog or cat. Shuzi strengthens your pet's biofield, increasing his resistance to the effects of stress, including EMFs. Shuzi’s patented system uses Nano Vibration Technology (NVT), the use of subtle vibrational frequencies programmed at the nano (molecular) level. These frequencies, which resonate with your pet's own vibrations, are imprinted onto a chip. Stainless-steel heart-shaped pendant with pawprint design and collar ring. Also available in rectangle design. Click here for more information on Shuzi technology. Click here for Shuzi research. © 2007 - Copyright Befit Enterprises Ltd.